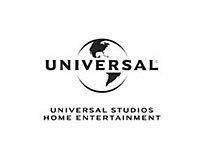 Universal Studios Home Entertainment has officially announced that it will release its titles on Blu-ray. "The path for widespread adoption of the next-generation platform has finally become clear. Universal will continue its aggressive efforts to broaden awareness for hi-def’s unparalleled offerings in interactivity and connectivity, at an increasingly affordable price. The emergence of a single, high-definition format is cause for consumers, as well as the entire entertainment industry, to celebrate. While Universal values the close partnership we have shared with Toshiba, it is time to turn our focus to releasing new and catalog titles on Blu-ray." Universal's statement this morning comes only hours after primary HD DVD-backer Toshiba announced that it would drop its support of the format. Universal was the format's most ardent studio backer, having released titles on HD DVD exclusively since the format's inception. We'll have more on this breaking story as it comes to us.